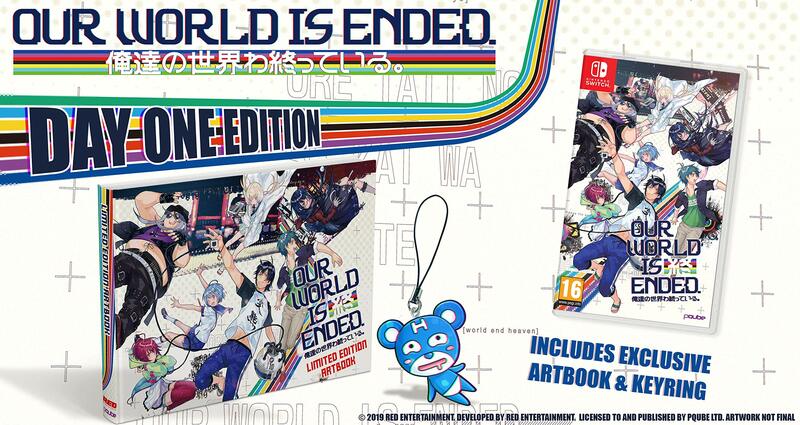 Game publisher PQube recently announced that upcoming video game Our World is Ended will be launching to the west this coming March. PQube announced that the upcoming video game will be launched for PlayStation 4 and Nintendo Switch this coming March 26 in North America. Europe will get it earlier on March 22. The PC version will be launched later this year. Exclusive art book 100 pages full of illustrations of characters, environments, CGs, and more. Key ring of game’s mascot. The physical edition of the game.